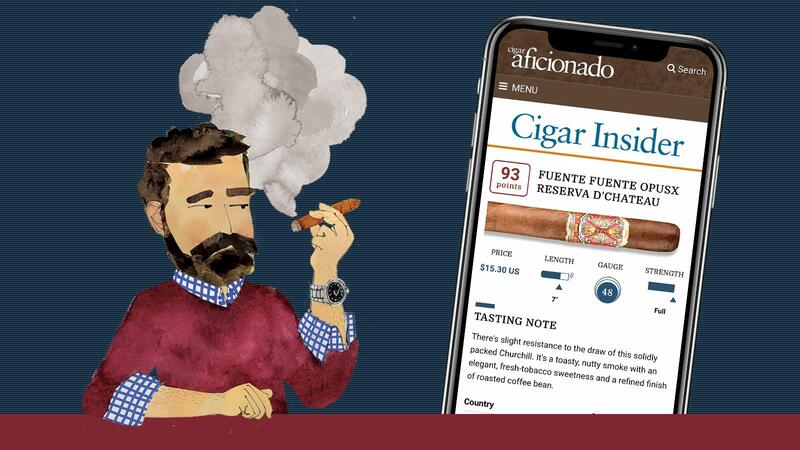 Cigar Insider, Cigar Aficionado’s twice-monthly newsletter, has a new, state-of-the-art design meant to provide you with even more information about the cigars you love. The publication, which features unique vertical brand tastings, reviews of the newest cigars, insightful interviews with cigarmakers and the most recent cigar industry news, is now completely digital. In other words, The Insider is now built for cigar enthusiasts who enjoy reading on the go. Cigar Insider has rated thousands of cigars since it debuted in 1996. Over the years, the publication has become best known for conducting unique vertical tastings of your favorite brands, something no other publication does. Whereas Cigar Aficionado rates only individual cigars, Cigar Insider’s vertical brand tastings go even further by tasting and rating every size of a particular brand, giving the reader a comprehensive analysis of the entire line in one snapshot. This broad view of the brand in its entirety provides the cigar enthusiast or retailer with more precise information because they can instantly tell which size offers the best smoking experience—and size does matter. Some blends can excel as a robusto but are quite lackluster in a 6 by 60 grande. Others can be mediocre in a Churchill format but absolutely brilliant as a belicoso. And like our Cigar Aficionado tastings, everything rated in Cigar Insider is smoked blind, making the process as objective as possible. Our tasting coordinator purchases all the cigars for review in Cigar Insider from retailers to mimic the consumer experience. In addition to vertical tastings, Cigar Insider is also known for reviewing the newest cigars right when they hit store shelves. Subscribers also get first access to the top ratings from Cigar Aficionado magazine weeks before the issue hits newsstands. Cigar Insider still offers the same great cigar content, only now it’s packaged for the 21st century. This means subscribers will be able to easily scroll through fascinating interviews as well as the most relevant, up-to-the-minute cigar news on their mobile devices. Cigar Insider is published twice a month. A one-year subscription is only $24.95, while one month is $2.95. You can also subscribe to both Cigar Aficionado and Cigar Insider for $34.95. Click this link to start your subscription today.